A lovely traditional antique brass finish table lamp, with a detailed ridged base and over arching curved stem holding a lovely opaque glass shade. Fitted with a convenient in-line rocker switch. 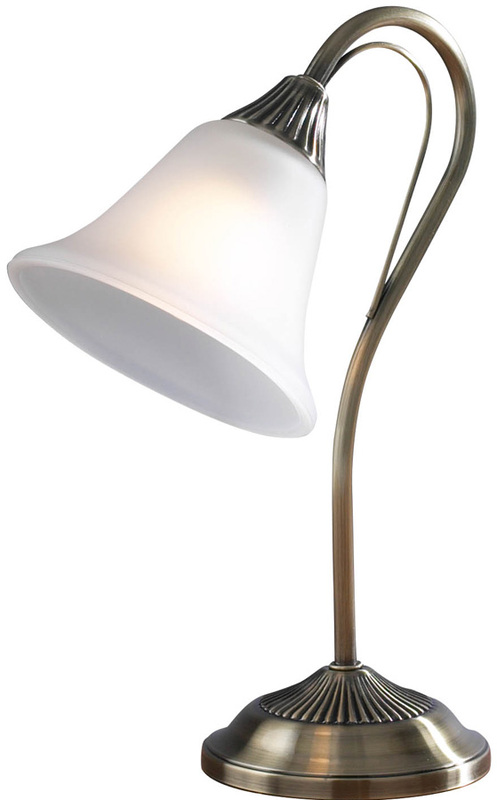 Perfect as a reading lamp or a traditional desk lamp. Class 2 double insulated, no earth required. There are matching fittings in the traditional Boston lighting range that can be viewed below. They include three and five-light semi-flush fittings, single and double wall lights and a floor lamp. With around 120 desk lamps to choose from you’re spoilt for choice in our full desk lighting section, from traditional to modern there is sure to be a lamp to suit any desk.